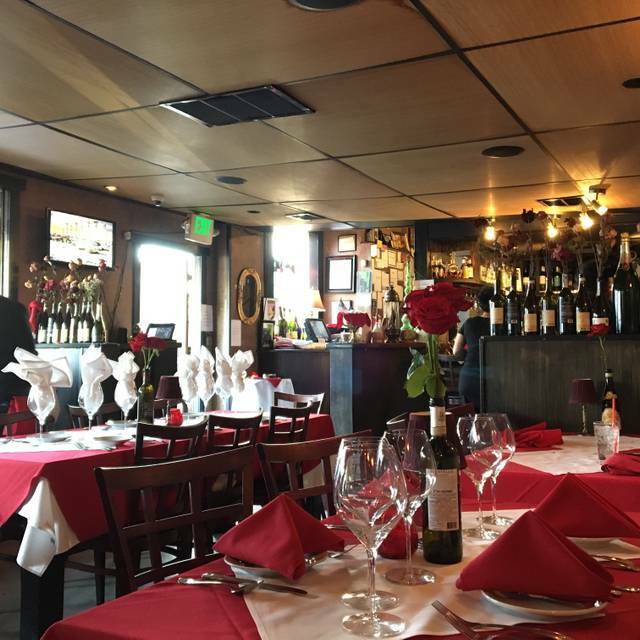 You must make reservations at least 5 minutes in advance of the time at Odyssey Italian Restaurant & Wine Bar. We are located on Capitol Hill which is street parking....There is no valet...there are no lots...best place to park is 5th & Pearl. I recommend walking or taking Uber & Lyft. We do work with people with accessibility issues. Please let us know if you have any special needs in advanced. Off premise full service catering available. We have a lovely private dining room with a cozy fireplace that is complete with a private dining booth. Available for wine tastings, birthdays and rehersal dinners etc. Menu prices range from $28.00 to $35.00 per person for an all inclusive dinner including appetizer, salad, choice of entree, dessert and soft beverages. Wine and cocktails available at a special price for large events. We also have two smaller private rooms that can accommodate up to 14. They are the Brunello room and the Violin room. Welcome to The "Old School" Odyssey Italian Restaurante. Come try our delicious Sicilian & Classic Italian dishes which are chef's recipes from back home in Palermo, Sicily. We are family operated & located in a 111 year old historical Victorian Mansion which is perfect for all occasions. You have definitely found a unique gem and an experience unlike no other. All Entrees Come With Bread and Small Caesar Salad. Italian Baguette toasted then brushed with pesto and topped with Sicilian anchovies. Thick-cut mozzarella, ripe Roma tomato, and sweet basil. Drizzled with salt, pepper, balsamic reduction, and olive oil. Lightly floured and fried, finished with fresh lemon juice and garlic salt. Pork sausage, fire roasted red peppers, onions, and garlic, served in our famous marinara sauce with Italian herbs and spices. Four risotto balls stuffed with green peas, mozzarella, parmesan, and gorgonzola. Fried and served with a side of marinara sauce. Fresh steamed clams and mussels in a garlic white wine seafood broth. Seasonal melon wrapped with prosciutto ham and drizzled with balsamic reduction and gorgonzola crumbles. Ricotta stuffed ravioli served with a side of marinara sauce. Drenched in lemon butter white wine garlic sauce. Add any Sausage - $6, Meatball - $6, Chicken - $6, Shrimp - $8, Lobster - $10, Clams or mussels - $8, Salad - $3. Sicilian Recipe of Lean Ground Beef, Peas, and Carrots, slow-cooked in a Marinara Red Wine Sauce, with hints of Cinnamon and Nutmeg, topped with fresh Ricotta Cheese. Fresh made Ricotta Cheese Tortellini tossed with your choice of Basil Pesto Cream Sauce or traditional Marinara. Pan Seared Tiger Shrimp in a White Wine, Garlic, Butter Sauce with Yellow Squash and Cherry Tomatoes. Served over a bed of Linguine Pasta. Homemade Ravioli filled with Lobster Meat. Served in a Rose Sauce with Marinara, and a Splash of Cream, with Pan Seared four Tiger Shrimp. Ricotta Cheese and Spinach Filling. Homemade Ravioli filled with Spinach, served with our Marinara spinach sauce. Bone-in, slow roasted veal shank smothered in a Nero d'Avola reduction sauce. Served with roasted potatoes and vegetables on the side. Old World Veal Scallopini recipe stuffed with Mozzarella, Provolone, Genoa Salami, Prosciutto Ham, and Spinach braised in the oven with Raisin Marinara Sauce. Served with a side of Bowtie Pasta and Vegetables. 16/20 oz. Grilled Ribeye Steak marinated in Lemon, Rosemary, Olive Oil, and Roasted Garlic, Butterfly cut and Perfect for Two. Served with roasted potatoes and sautéed spinach. Half-rack of Sicilian Lemon and Olive Oil marinated, Tender Lamb smothered in Red Wine Mushroom Reduction Sauce with hints of Rosemary. Served with Roasted Potatoes and Sautéed Garlic Spinach. Sliced Eggplant stuffed with Mozzarella, Sun-Dried Tomato, and Basil braised in the oven with Marinara Sauce with melted Provolone on top. Served with cappellini pasta in a pomodora fresco sauce and vegetables on the side. Pan-seared Prosciutto Ham in a Creamy Dijon Mustard Sauce with Chicken or Veal topped with melted Provolone. 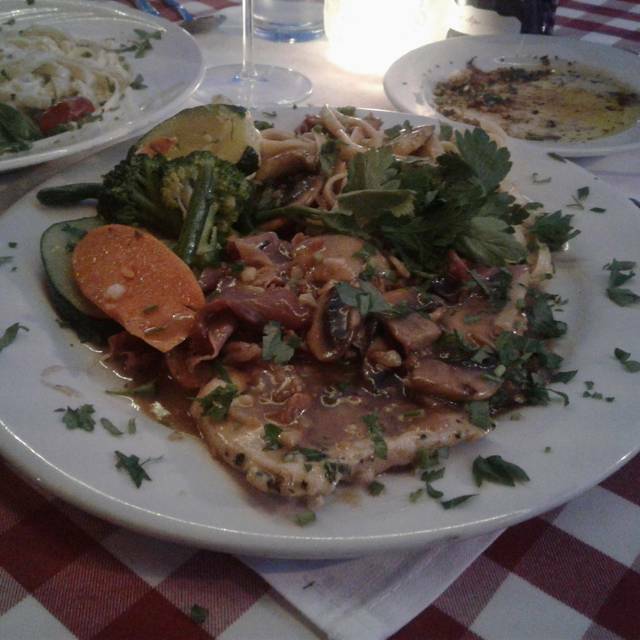 Served with Fettucine Pasta in a Saltinbocca Sauce with Vegetables on the side. Tangy White Wine Sauce with Capers, Artichokes, and Portobello Mushrooms. Served with Fettucine Pasta in Picatta Sauce with Vegetables on the side. Sweet and light Creamy Marsala Wine Sauce with Prosciutto Ham and Portobello Mushroom. Served with Fettucine Pasta in Marsala Sauce with Vegetables on the side. Smothered in our homemade Marinara Sauce and topped with melted Provolone. Served with Fettucine Pasta in Marinara Sauce and Vegetables on the side. Atlantic Cod pan seared with baby tomatoes, fresh rosemary, Kalamata olives and capers, and served over bed of capellini pasta. Grilled orange roughy marinated Sicilian style with rosemary, lemon, white wine and basil, topped with two tiger shrimp, served over risotto and jumbo asparagus. Alaskan Salmon over Linguine and Spinach topped with baby tomatoes, Kalamata olives, Rosemary, Capers and splash of Sambuca wrapped in foil. Fresh semolina pasta sheet rolled up with ground seasoned veal topped with mushrooms and red wine reduction and melted provolone and served with sautéed garlic spinach. food. We had a wonderful time interacting with the owner and our server Lindsey was wonderful! 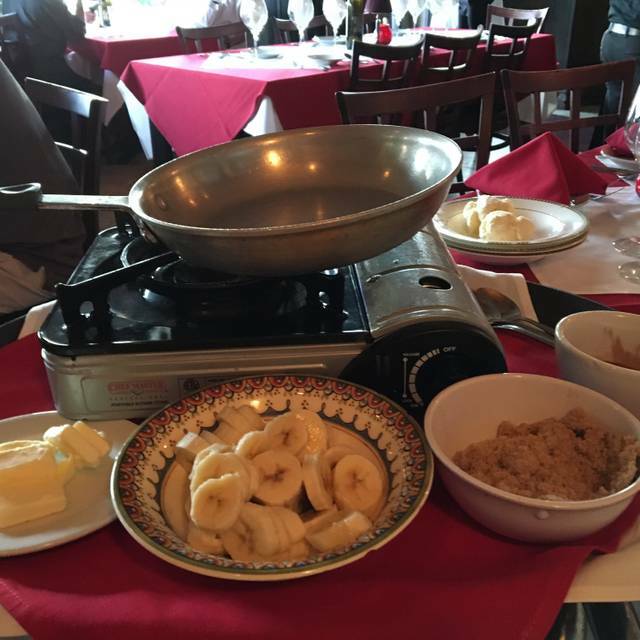 The food was amazing and the bananas foster for dessert was delicious! Heading back there again Friday night! 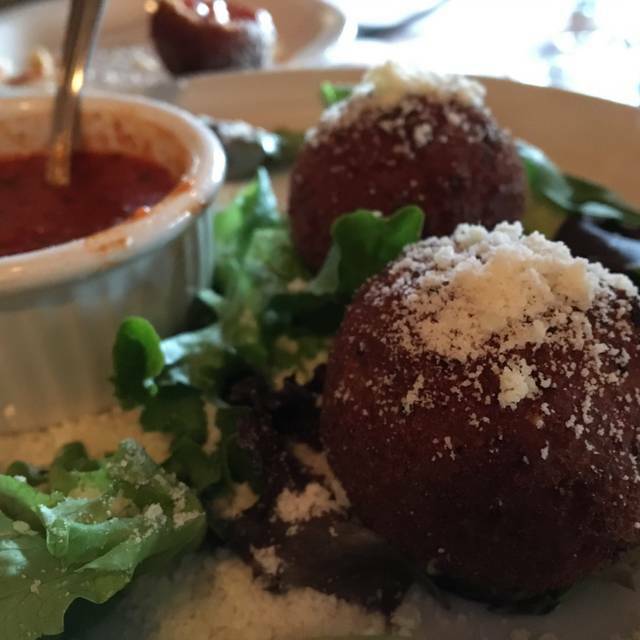 We were looking for an authentic Italian restaurant and dining experience while in Denver. We found it at Odyssey! Everything was delicious. Will come again!! What an amazing menu. It was tough to make a decision. Great value across the board including the wine. There was a violinist that set the mood perfectly form out double date. cannot recommend until I go 3 more times. First time was excellent however most recent visit (with a party of 6) was substandard. The food is decent to good and service is the same but the biggest problem is the restaurant is DARK (unless you're seated around the perimeter under ceiling lights which I loathe). Darkness (not as in romantic dimness but just plain dark) is as bad as dining under a kitchen ceiling light. One of our party ordered a veal dish, was delivered a chicken dish which he sent back but was billed for his meal! BTW he did not choose a substitute so it was obvious he was not eating. Every restaurant has a bad day so we'll give it another chance but only for lunch. I won't take a chance being seated in the center of the room and unable to read the menu or see what I'm eating. This restaurant is friendly, right on 6th and has great potential -- I don't know how to fix the darkness but they need to do it or lose patronage to customers who come only one time and never return! Loved this place. Great food and nice space. I had Never been here but heard good things and everyone was right!! The food was delicious and generous portions of pastas. Server was friendly, informative and helpful. Lovely experience, can’t wait to go back! This was our first time there. Such a hidden gem. loved it. Excellent! - but was very noisey! Awesome food and service. I would highly recommend them to anyone looking for an authentic Italian cuisine experience. We're never disappointed whenever we visit! We come here for every wedding anniversary. Love feeling like part of the family! Fantastic food and service. Love the restaurant. So authentic, so delicious. The ambience is so cute, and the pasta is unmatched. Family owned and the pasta is made in house. Delicious food, great service, and charming ambiance. A neighborhood gem! We love the "old school" atmosphere and vibe of the old Victorian that houses the Odyssey. 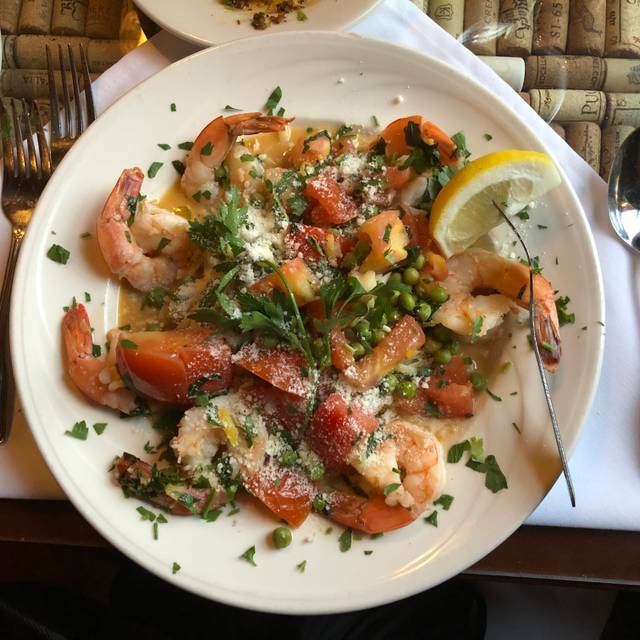 Menu offers many classics from Italy and some perhaps less familiar but no less delicious items from Sicily, prepared with fresh ingredients and well executed. The service takes it's lead from the father/son duo from Palermo who own the restaurant and is always attentive and friendly. 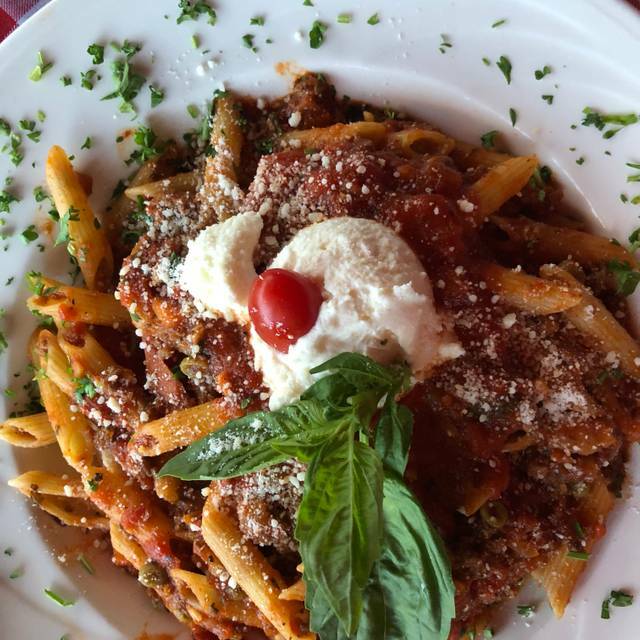 Italian spots come and go in Denver, some better than others, but Odyssey is timeless! Each person in our party of 4 ordered a different dish, and each item was delicious! Server was attentive, helpful, and personable without being over the top. The pasta is great. I loved the fettuccine carbonara. They have a wonderful wine selection to pair with your meal. The atmosphere is lovely. The chef is very friendly and the staff serve to make your experience a great one. I highly recommend Odyssey to anyone who enjoys a homemade Italian meal. It was very hot in the room we were sitting in, but everything else was great, especially the food! As someone whose family is from Sicily, I must say that this was one of the best meals I have had of Sicilian cuisine! Everything was just superb! I highly recommend this to all! We had a fabulous Birthday dinner at Odyssey. Food was exquisite and service impeccable. Ignazio and Micheal always make us feel welcome. It''s like a little slice of Sicily in Denver. It was just ok. I read the reviews and was really excited to try Odyssey but was a little let down. The calamari was outstanding and enough for 3 people. My husband sent his entree back and my eggplant stuffed with sun dried tomatoes, basil, and cheese just tasted like the red sauce that covered the plate. From the start of walking in you knew that this was a charming place that puts a lot of love into their food. Our waiter we had was phenomenal, he knew the menu very well and all of his suggestions were lovely. We sat upstairs in the violin room, it was lovely. Everything from the meal to the service was wonderful and my whole family can't wait to go back when visiting again someday! Highly suggest the Pesto Gnocchi it was out of this world. All I can say is... just go you wont regret it! Thank you for the lovely meal Odyssey! Very romantic setting with extremely friendly staff. Food was amazing and authentic with good portions. Classic venue, food and service. I’ll be back. This is truly a neighborhood Italian restaurant!! The owners and the staff are great. A great value for the dollar. 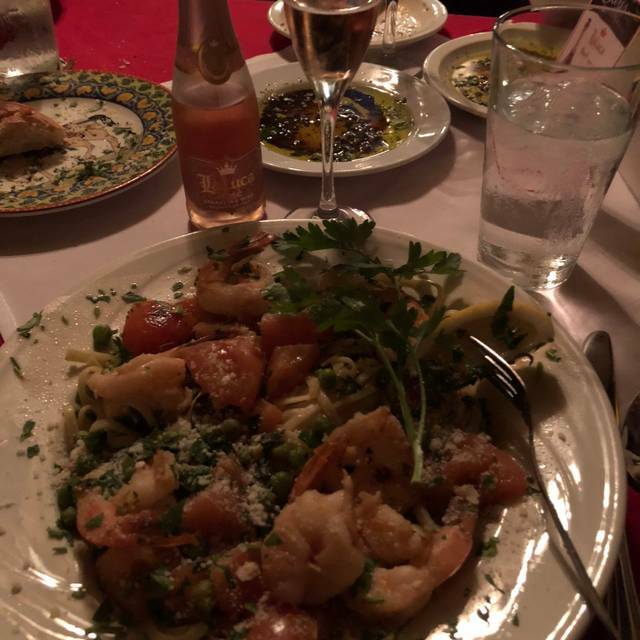 The food is very old school Italian and good Italian wine selection. We had an enjoyable evening. I asked for some modification to my meal and the changes were not implemented. But still a nice experience. Great place to dine, alone or with someone special. Always feel as if I'm dining in Sicily whenever I'm there. The owners and staff treat me like family, and that's a huge plus in making me want to return again and again. 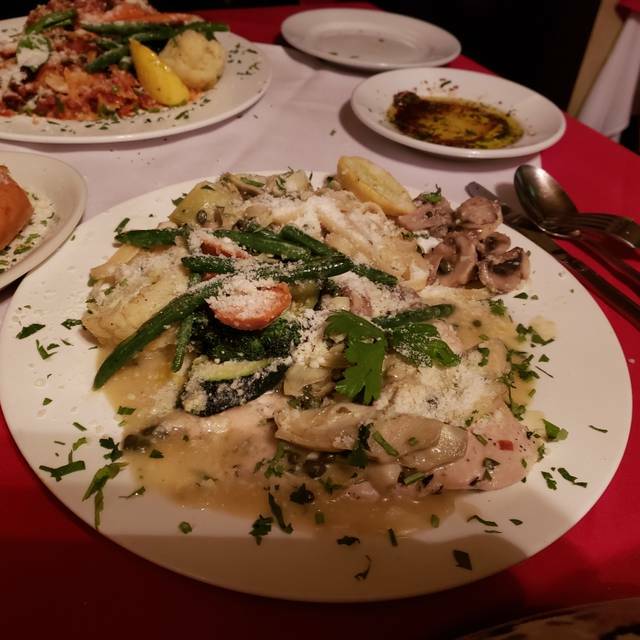 Old school Italian charm, excellent food, outstanding service and a violinist! My parents were in town for my birthday and I took them to Odyssey. They loved the whole experience of the friendly staff, the house and it’s decor and the great service! We all loved our food as well! Wonderful dining experience. Family owned and run ! We go there often ! Great time. Food delicious and our wait staff was fantastic. Will come back again. Fantastic! My Wife is Italian and doesn’t eat Italian out. She loved it!! 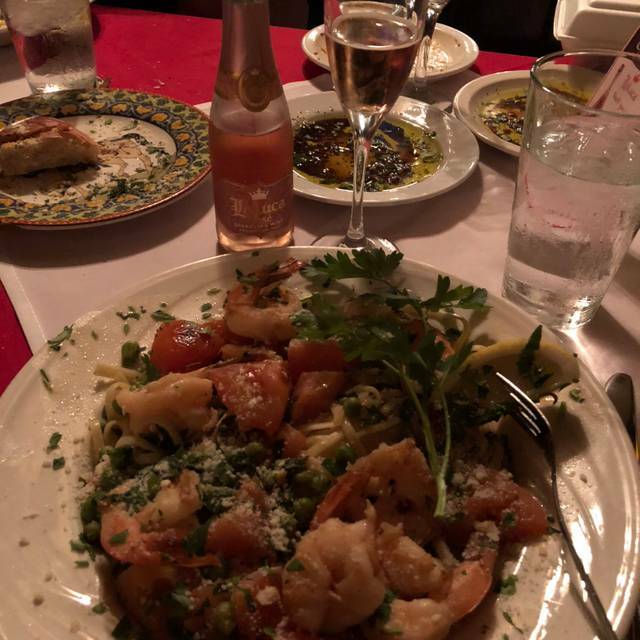 Odyssey is the absolute best authentic Italian in Denver! My husband and I always take family and friends and love introducing people to this place. The wine the pasta... always the top notch and fantastic service. Always amazing food at Odyssey. I look forward to my next visit. Make sure you make a reservation on Monday. This is definitely the best deal you can get on a good Italian restaurant in Denver! Three-course meal which includes salad, bread, and entree. Food was amazing and service was great as well! What an experience! Loved that they gave us a tour of the home and let us pick our own table. Fantastic service, ambience, and food was amazing!